Hours, days perhaps, passed. Aderyn lost track of time in the tiny room, alone with her thoughts and memories. At first she slept and waited, but after a time the dreams grew too terrible. They were always of her mother or her brother Caiden. Awful dreams, painful dreams. Only once did she dream of her father. It was a brief, sweet dream that faded like flavor ice on the tongue. When she woke that time she desperately wanted to hold onto it, to remember it but all she could recall was her father’s laugh. It was deep and wonderful, the kind of laugh that made everyone else in the room smile. Aderyn remembered smiling so many times. Only I’m not, she thought as the despair took hold. It reached up and took her heart and tried to pry it loose, twisting and clenching until tears fell freely. She’d lost everything and it was all her fault. The tears turned to sobs, powerful ones that sucked the breath from her. She coughed and gagged to control them, needing air but it just would not come. The sadness was so powerful, so complete that she couldn’t even move. Her fault. It was all her fault. A sound came from behind the door. It was faint at first, like the rumbling of many glass chips across metal floors. Then it became louder, deeper and Aderyn realized she was hearing voices, hundreds of voices and they were… cheering. She rose from the bed and went to the door, slipping to her knees and pressing her cheek against the floor. From there, she could see through the gap at the bottom of the door. The hallway was empty but the sounds reverberating off the metal let her know they were coming her way. The cheering was becoming more distinct now too. There were yelps of joy mixed with taunting jeers. Aderyn realized they were cheering and taunting at someone. Had they captured someone? “Mother?” she whispered to herself. A crowd stopped near her door. She saw dozens of booted feet crowd around, shifting and jostling. A door was opened, its metal frame screaming in protest against ancient hinges. “Welcome to your new home, your majesty!” someone yelled. And then, to Aderyn’s horror, she saw the hem of a dress. It was made of the lightest, strongest puresilk and dyed the most brilliant shade of blue. Even the rough treatment the men outside seemed to have shown her, not a tear could be seen. At first, she dared not believe it, could not. Then the woman was thrown to the ground and red hair fell like the rain around pale shoulders. And through it, green eyes stared directly into her own. And then she was gone, pulled to her feet and out of sight. Aderyn heard a metal door slam and lock, not terribly far from her own cell. With her heart pounding in her ears, she strained to listen. The conversation dissolved briefly into more hooting and laughter. For a long, terrible minute the men outside were banging on a metal door, shouting insults and threats that made Aderyn want to weep. She forced herself into silence, holding a hand over her mouth and nose. What were they going to do to her? She had to do something! Had to… but… what? It didn’t matter what, she decided, but she would figure out something. She had to. If she did nothing else with the rest of her life, she could do this. Slowly, she crawled back to into her bed and listened for a long time before the voices finally died down. All the while she thought about her situation, about what she might do. Think Aderyn, think! You have to do something! She sat up. He always came at the same intervals, she realized. That only made sense, they had to feed her if they meant to keep her alive long enough for… whatever they meant to do. Resh came to see her once in a while too, but lately they’d had few things to say to one another. He promised he’d find a way to get her out but wasn’t sure how yet. Maybe you don’t have to, she thought. Maybe I can get myself out. As she lay back down, a plan began to take shape. This entry was posted in Original Fiction, Science Fiction, The Blood and tagged blog fiction, Fantasy, Mike Kern, SciFi, The Blood. Bookmark the permalink. 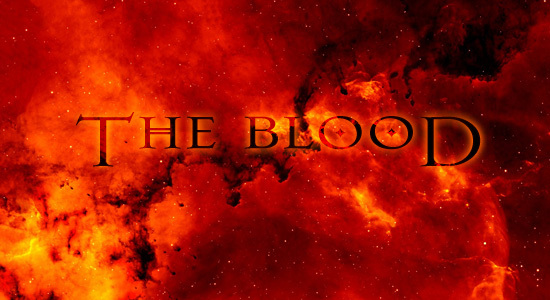 Hmmm, the groundlings have found a ‘practical’ use for the blood of The Bloods… an intriguing development. And having someone who is supposedly the Queen means they could have the strongest Blood of them all.